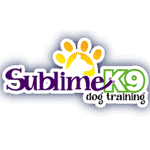 Welcome to Sublime K9 - Long Island Dog Training! We offer Long Island Dog Training services such as dog obedience training, puppy training, dog manners training, and therapy dog training lessons for all breeds, sizes and ages. Our dog obedience training program for dogs and puppies have helped human owners to enjoy the benefits of a well trained dog. I began this business with the idea that all dogs are unique and that different training methods work for different dogs. We have been successfully training dogs since 2002 and our Long Island Dog Training staff have studied under many different trainers to learn as many methods as possible. I am a graduate of the National K-9 Learning Center where I earned my designation as a Certified Professional Trainer. National K-9 is a nationally recognized top tier dog trainer's school located in Columbus, Ohio. At the center, I studied various methods of behavior modification and applied these methods to my partner dog, Milo. I am also a professional member of International Association of Canine Professionals and am formally trained in BAT (Behavioral Adjustment Training), certified to teach Relationship Games, and Leash Reactivity by Leerburg and have studied Growl classes by Dr. Ian Dunbar. My love for canines has also led me to work in the veterinary field to learn as much about dog's health and wellness as possible. My dog, Tupper has been an invaluable addition to my pack. His story truly inspired me to help “worst case” dogs and challenge myself as a trainer. Tupper comes from a rough past and was deemed too aggressive towards both other animals and people to be adopted. Due to abuse from a previous owner, his back leg had to be amputated and after that he lived in a cage for 2 ½ years. When I first met Tupper, he was not very welcoming to say the least. I was told he was a lost cause, but I still went to see him every day to build trust and to train. After working with him for two months and getting him to a point where we developed a trust, I introduced him to my pack. Things were going so well, that I began taking Tupper home and having him stay the night. What an amazing dog he turned out to be. Tupper has been living with me for 4 years now and has a new lease on life. He welcomes meeting new people and loves to be pet. He is able to be around kids and other dogs and he loves to run and play. 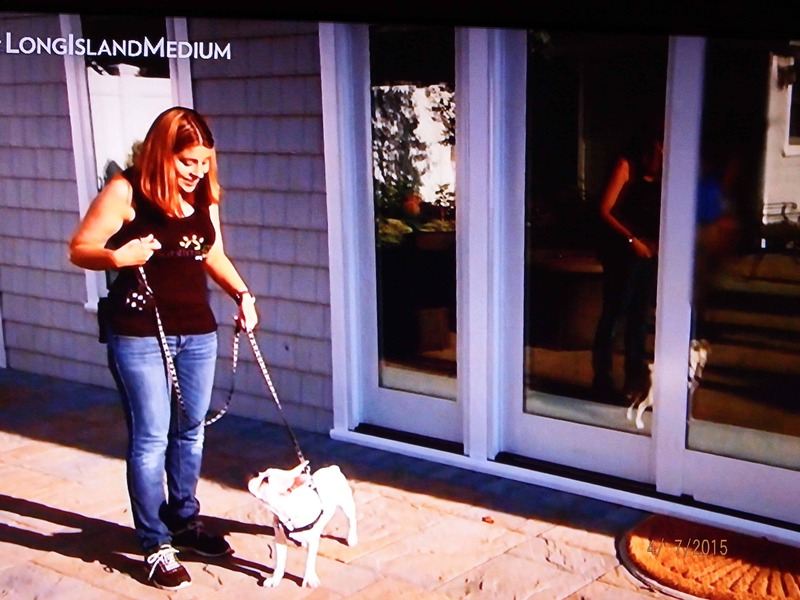 I was honored to work with The Long Island Medium, Teresa Caputo's dog, Bubba. 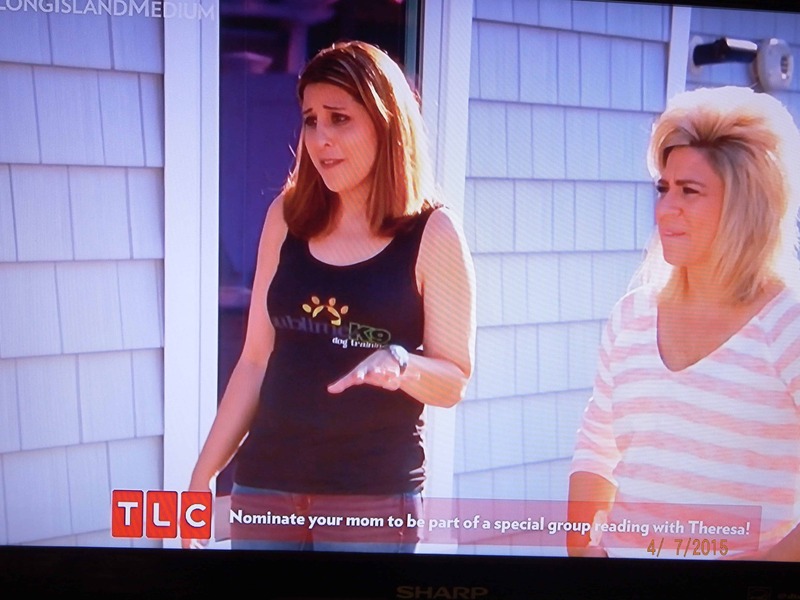 The episode can be seen on TLC. 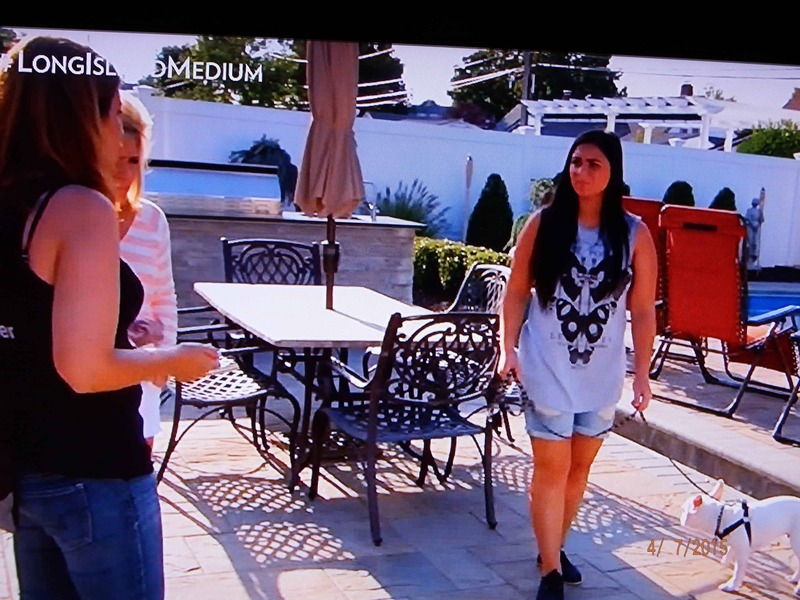 Below are some photos from the episode. Rest assured that at Sublime K9 dog training we will treat your dog as if it was our own. I look forward to meeting you and your best friend! 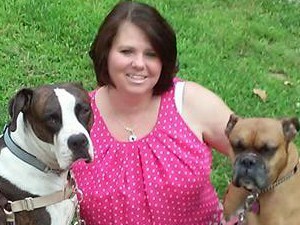 "My name is Katie McKnight and I am thrilled to work for Sublime K9 dog training. I began my career working with animals in shelter environments. While many people feared pit bulls, I fell in love with the smart, loving breed. 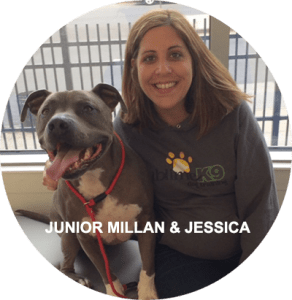 While I’ve enjoyed preparing shelter animals for new homes, I wanted to ensure that dogs did not wind up in shelter environments due to behavioral problems. Honestly, most behavioral problems are solved with the help of a professional dog trainer. Whether you recently welcomed a new puppy into your life, share a home with a spoiled pet or live with a challenging dog, I want to help. In addition to my education and hands-on training experience, I am an associate member of International Association of Canine Professionals. I am also the proud dog parent of two rescue dogs. Nine years ago, I rescued Madison, my faithful boxer, from a family who could not handle her high energy. Over the years, we helped Madison overcome separation anxiety, dog aggression and the naughty behavior that frightened many visitors. She is a loyal dog and a much-loved family member. On Mother’s Day 2015, we welcomed a three-year old boxer-mastiff mix to our home. This 92-pound teddy bear has mastered all training techniques in a short amount of time. Duke transformed from a runner to an assistant who happily aids my dog-clients suffering from dog aggression. My family and I are fortunate to share our lives with two wonderful dogs – they didn’t start that way. 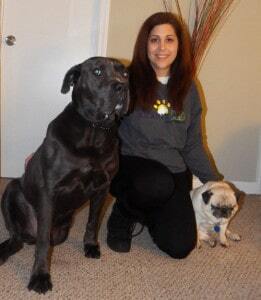 I hope you’ll invite Sublime k9 dog training to help you transform your dog into a loyal, healthy family member. I look forward to meeting you!"